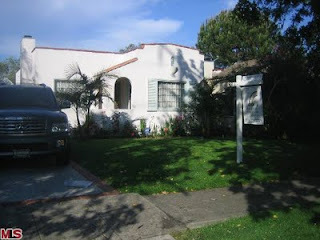 The home at 2026 Overland Ave., LA CA 90025 received a price reduction of 5.8% or $44,000, down to $715,000. The home came onto the market 43 days ago for $759,000 and this is the first price reduction of the current listing term. It was previously listed on 5/15/09 for $799k and lasted 262 days on the market with one $10k price reduction. Additionally, the home was previously sold on 10/19/05 for $815,000. According to the MLS, the home is a 2 bedroom / 1 bath, 968 sq ft of living space on a 5,400 sq ft lot.